Founded in 1996, LendingTree has for years been a leading name in the online lending industry. 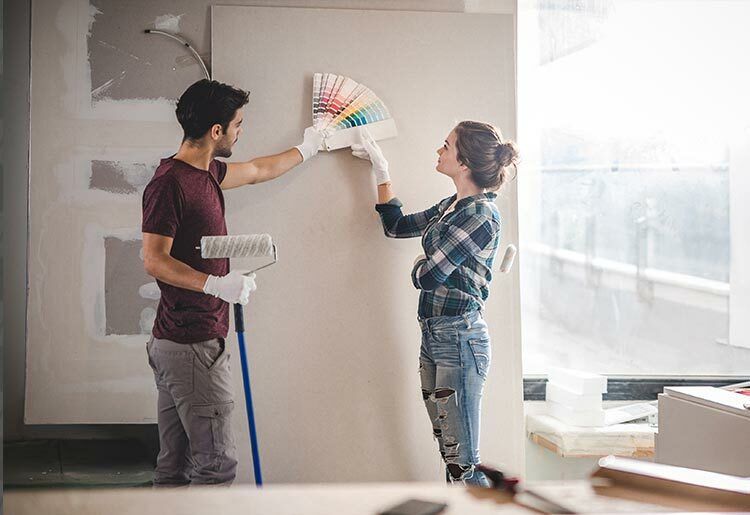 The company helps you compare from several different lenders at once and pick the best loan for your home improvement needs. The company offers to find users a wide range of secured and unsecured personal loans running from $1,000 to $50,000 with APR as low as 4.79%. There is no charge for finding you a loan and the company offers flexible loan options, with loans from $1,000 to $40,000 with APRs as low as 3.831%, according to the company website. LendingClub is an award-winning peer lending company that offers approval within minutes on home improvement loans ranging from $1,000 to $40,000, with APR ranging from 6.95% to 35.89% APR on payment plans between 36-60 months. The company specializes in consolidating debt and should be available to help you find the right loan option. Known for providing loans with low APR and flexible terms, LightStream can be a sound option for your home improvement loan. Lightstream provides loans of up to $100,000, so the company should be able to fund most home renovation projects. In addition, LightStream offers flexible loan terms, and you can stretch your repayment over a time span of between 2 years to 12 years. One knock on LightStream is that the company does have a fairly high minimum credit score requirement of 660. At the same time, the company provides loans with low APRs, spanning from 4.99% to 13.74%. You can get even lower rates if you use AutoPay.